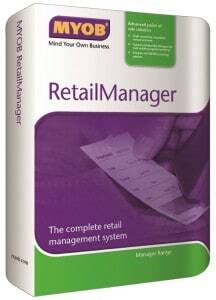 MYOB Retail Manager is an advanced retail management system that offers POS, inventory management and more. It replaces the cash register with a point-of-sale system that streamlines store operations and helps you better manage sales, stock, GST, staff and customers. Buy your Software Solution from Us! Our extensive network of professionals are here to provide you with a complete end-to-end solution. 6. A local or network printer to print dockets, reports, etc. if you will be printing bar code labels, a high quality laser printer is recommended for best results. 7. Windows-compatible mouse and keyboard.